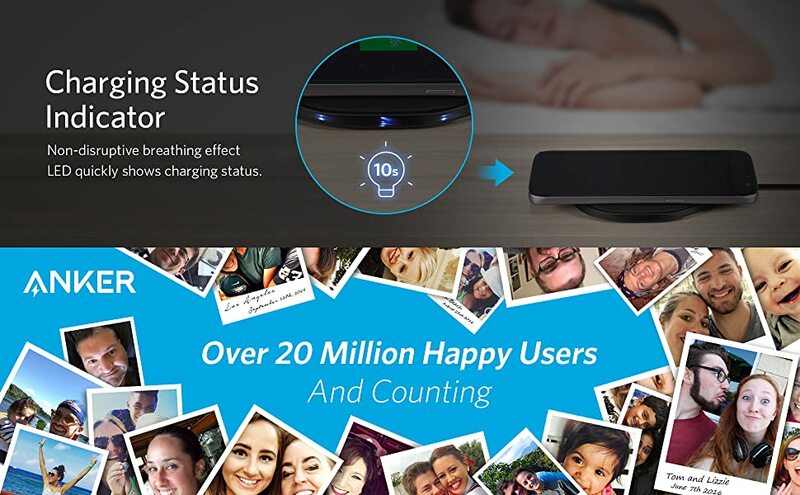 The Anker Advantage: Join the 20 million+ powered by our leading technology. Faster Wireless Charging: Fast Charge Mode enables wireless charging up to 2⨉ faster. (Metal attachments or credit cards will interfere with charging.) Premium Design: LED indicators, non-slip pad, and compact build ensure simple and convenient charging. Advanced Safety Features: Exclusive MultiProtect technology provides temperature control, surge protection, short-circuit prevention, and more. 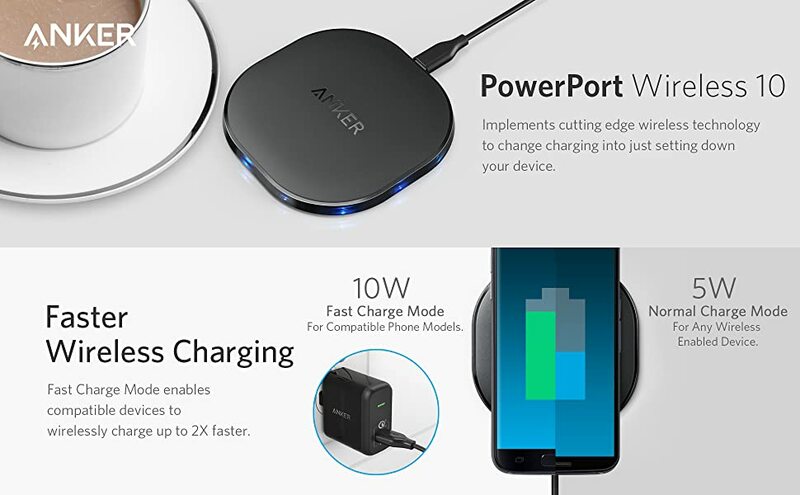 What You Get: Anker PowerPort Wireless 10 (Single-Coil Wireless Fast Wireless Charger), 3ft Micro USB cable (wall charger not included), welcome guide, our worry-free 18-month warranty and friendly customer service. Simple Charging: Cutting-edge Wireless inductive technology simplifies charging into just setting your phone down on the charging pad. Charge Faster: Fast Charge Mode delivers 10W charging to fast wireless charge-capable device. Premium Design: Breathing LEDs indicate device and charger status. Indicator will turn off when charging is complete. Non-slip charging pad keeps devices secure. Sleek, compact build takes up minimal space.